Past the newborn phase, my kids have always been good, consistent sleepers. There are always the occasional bad nights due to illness or somehow knowing I have an especially brutal work day approaching, but overall I really can't complain. One thing I attribute this to is a solid bedtime routine that we established with them when they were tiny, almost too young to really understand. Though the order changes up night by night, the basics are always there - clean up toys, put on pajamas, brush teeth, and read a story...err, stories. We try to keep it to one, but these kids absolutely love being read to. How can I put a limit on that? Though we have shelf loads of favorite books, sometimes it's nice to change up the same old stories with something new. I can only read Chicka Chicka Boom Boom and Skippy Jon Jones so many times! Regardless of what stories we read until the spines break down, sometimes bedtime is the most time we get to spend together all day. With the hustle and bustle of work and school and dinner, it gets crazy. Bedtime is calm. It's just us. 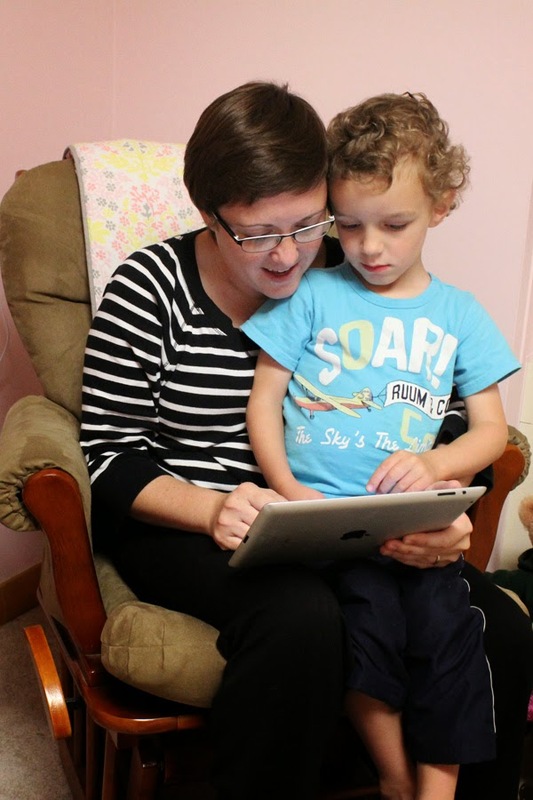 With our love of bedtime stories, we were given the opportunity to check out FarFaria; an app for iPhone, iPad, and Android that, through a subscription based service, gives your family access to hundreds of books each month. It's like having the local library at your fingertips; able to choose new stories whenever the picky toddler mood strikes. 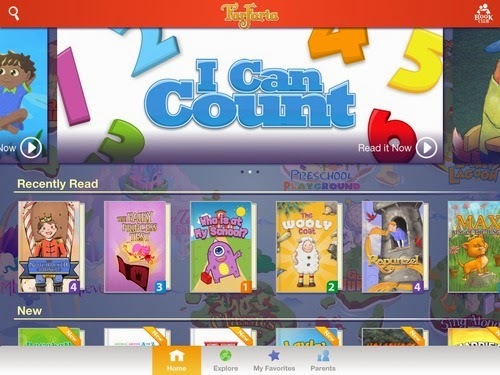 Covering five different reading levels, FarFaria has a tremendous variety of stories for toddlers and children with topics ranging from dinosaurs to fairy tales to non-fiction to bible stories and everything in between. I introduced Charlie and Ginny to the app one night and they were almost overwhelmed with the choices. The menu was easy to navigate and since they're both familiar with running the iPad, it was easy for them to choose their own story......again and again and again. Recently read stories are saved on top to make them easier to find next time and favorites can be downloaded and accessed without wifi, which is perfect for bedtime when you're traveling. Unlimited reading from a library of more than 750 stories. Five new, engaging stories added every week. Bright, fun stories with something for every interest. 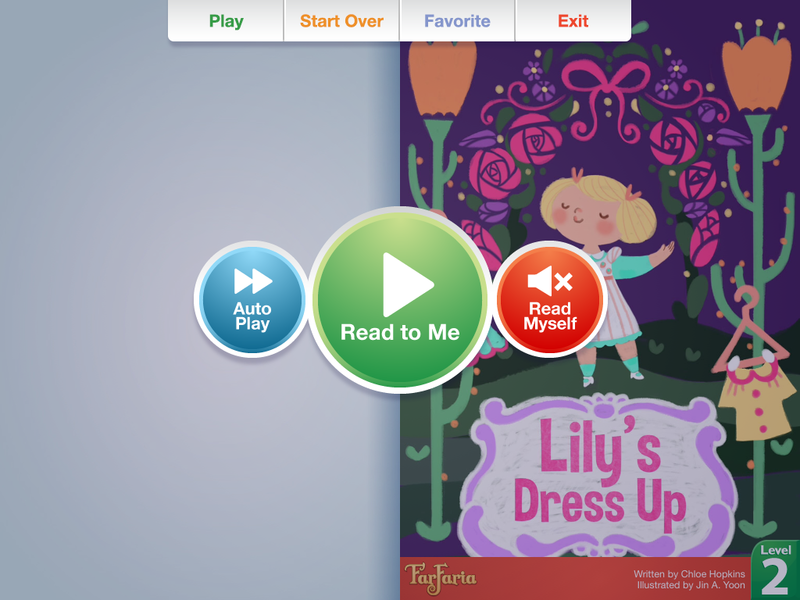 Every story can be read aloud with a "Read-to-Me" feature. Offline access to read favorite stories. No advertising and no hidden fees. FarFaria is available through the App Store or Google Play. Downloading is free and the subscription is $4.99 a month or $39.99 a year. You can also send a subscription, making for a fun and different gift for a little reader in your life. Reading to children is such an important part of their educational journey, no matter how old they are. Even if they're tiny, trust me - they're listening. To share the joy of reading and our new found love of FarFaria, I'm excited to offer a 3 month subscription to one lucky reader! Thank you FarFaria, for sponsoring this awesome experience!